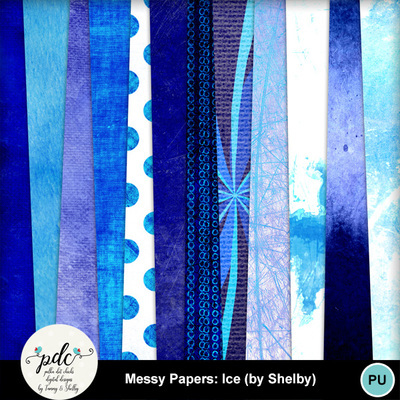 These messy papers are sure to cool down your pages! Created by Shelby to go with her FIRE papers, they are COOL! Be sure to check out the rest of the Messy Paper Collection and mix and match for a fun look on your pages or even hybrid projects.